The leader of a company, pressured by the behavior of her neo-Nazi teenage son, decides to dismiss one of her two assistants, supposedly under austerity. Both employees, will reach to the ends to maintain their positions. Duration: 75 minutes. Actors: 2 Women, 2 Men. First Production: December, 2013, the Art Theatre Karolos Koun, Athens. 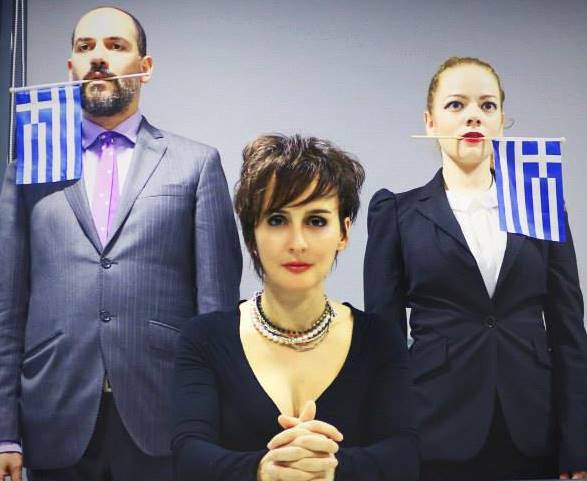 Second Production: October, 2014, the Art Theatre Karolos Koun, Athens.